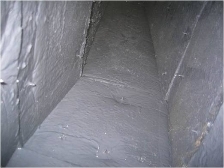 How do you know if your office or building needs air duct cleaning this season? In this series of three monthly emails, we’re sharing with you the top three signs of problems that your building engineers or air conditioning technicians should look for when they’re performing typical maintenance like changing the air filters. Last month’s email covered the problems that excess dust can cause, and how to tell if excess dust is causing a problem for your HVAC system. Missed the email or need a refresher? No problem! Check it out here on the blog. One of the hazards of living in Texas, especially closer to the gulf, is that there is a lot of mold spores in the air. Most of them aren’t a problem and won’t hurt you. But when they settle into your air ducts and start to grow, they can cause big problems. Maybe you’ve noticed that your allergies are acting up. Or maybe you’ve seen little specks of black stuff on your desk when you get into the office in the morning. Or maybe you can even see the mold coming out of your air vent. 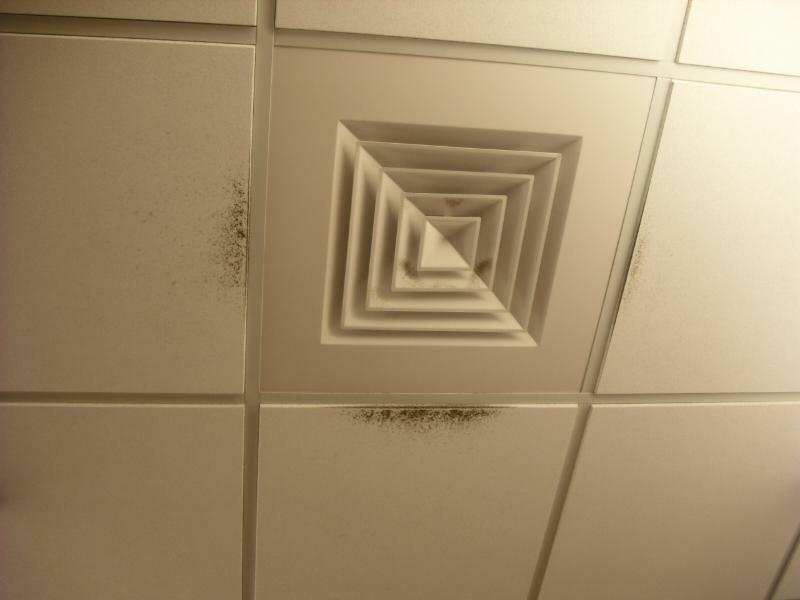 In this photo, mold has begun to grow on the tiles surrounding the ceiling register. Believe it or not, all of that grey/green/white is mold. 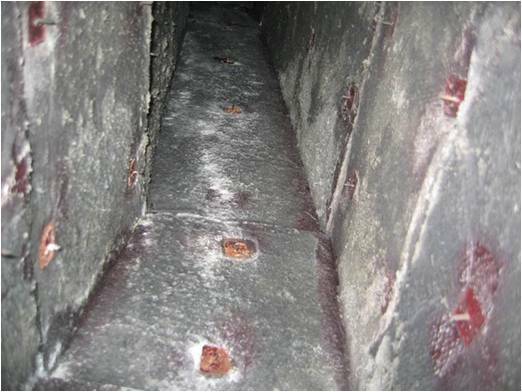 Over time, the dust that settled in to this ductwork became contaminated with bacteria and fungal matter. The dust became a food source for the mold. And the bacteria and fungi continued to grow until it formed the almost solid layer of mold that you see here. We’ve vacuumed out the dust, then sprayed the insulated ductwork with a sealant. The sealant does more than just seal the insulation. It also creates an environment that helps prevent the mold or bacteria from growing back in the future. Stayed tuned next month, when we’ll tell you about the final common issue in this series: Odors!